There is still a smile on my face just because of a train ride. 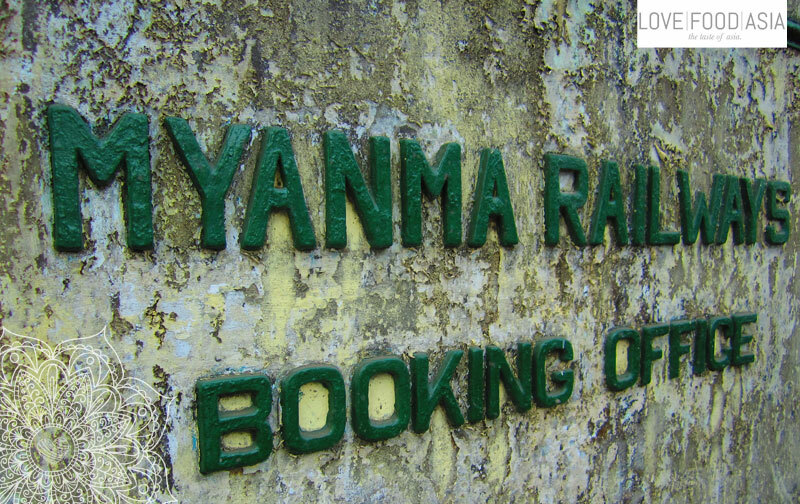 We are on the bumpy train from Yangon to Mandalay and it seems that this will become an unforgettable experience for us. We started at 3 pm and our train was guided my kids running next to the train and waving to us. In the beginning it was a very slow ride but now we´ve speeded up a bit. On the outside fields, farmers and little pagodas are passing by. The beautiful landscape and the bumpy train ride makes this trip something special for us. From time to time kids on the fields are waving and we are sitting – or we are bumping – on our wooden beds in the sleeper. I´m trying to read with my feet out of the window but I can´t because we have to laugh from every big bump our train is making. And there are lots of bumps. Now I´m enjoying the sunset and I feel happy to be on the road. To been in Myanmar. I really feel free right now. I´m expecting a very short night without sleep. It seems to be impossible to sleep while the train is bumping that much. We will arrive in Mandalay on 5:30 am. This morning we spent some time walking in the streets of Yangon. Here are some pictures.